If the Martineau Galleries story teaches us anything, it is that you should seize your moment. The giant site that looked antiquated in the 1990s and creaky in the 2000s seems positively dilapidated now. 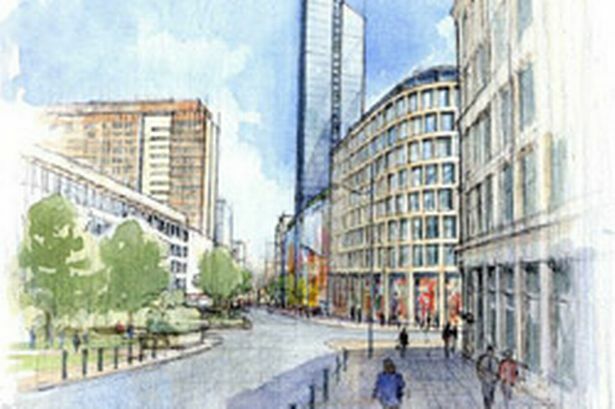 It will appear prehistoric in the 2020s with the transformation of Eastside, Curzon Street and the Colmore Business District surrounding it – and have no doubt, without movement now we are years away from real progress. It’s owner, Hammerson, which bought the site outright after more than a decade of owning it as part of a partnership, has been perhaps the most prolific investor in Birmingham city centre in recent years. Its transformation of the Bullring brings in millions of people every month who would otherwise not have come. I’m sure its latest purchase, Grand Central, is in good hands, but the vast Martineau Galleries seems void of any vision. It might be that Hammerson is enjoying a risk-free return from the few tenants currently inhabiting the site – but the opportunity must be greater. And the city is paying a cost. The annoying thing about that is clearly its moment is now. We are amidst a renaissance in city living, a shortage of office space, a devolution push and the small matter of £50 billion being pumped into HS2 – as exhibited by plans for the station opposite. The demand is there – what appears to be missing is the will. If progress isn’t made quickly – either by Hammerson pulling its finger out or selling it to someone who will – we will be writing about yet another recessionary block to progress.